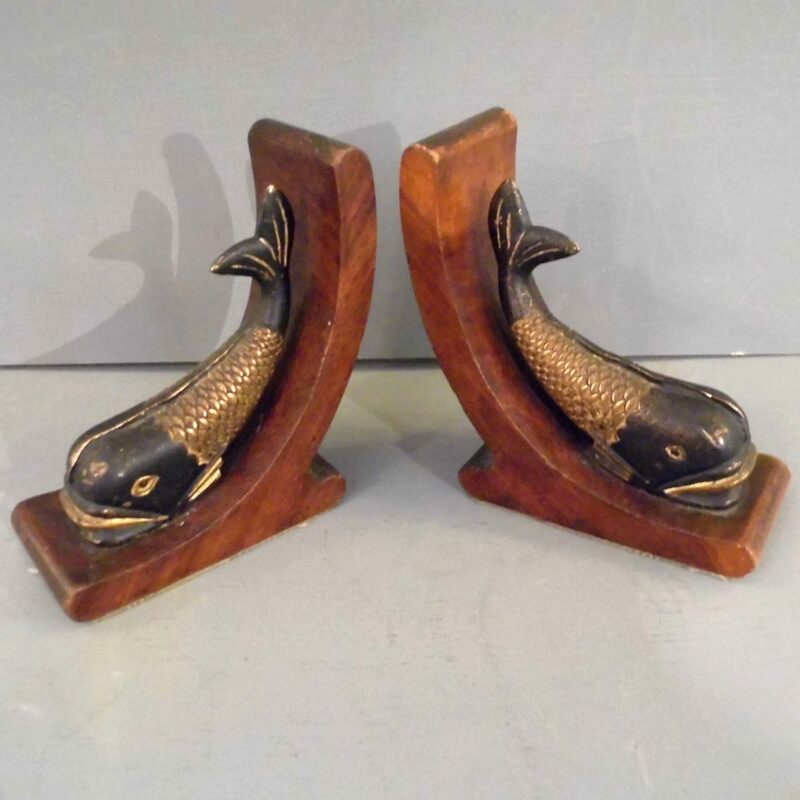 A cute and unusual pair of Dolphin bookends in walnut and bronze. This pair are made in the Regency style with the Dolphin represented as Mythical Sea Creatures. They date to 1900 to 1920.